Future of HTC depends on the One and that’s the reason why the company has pulled out all stops to make it as good as it can. The result: The company is so confident in the abilities of the device that its CEO has reportedly declared he will resign if it fails in the market. Lets find it out about this smartphone. HTC has launched its flagship smartphone, HTC One, in the Indian market at a MOP/ Best Buy price of Rs. 42,900. The phone will be available from end of April. HTC One features a 4.7-inch screen with 1080p display. It is powered by a 1.7GHz quad-core Qualcomm Snapdragon 600 processor along with 2GB of RAM. Connectivity options include Wi-Fi 802.11 a/ac/b/g/n, Bluetooth 4.0, GPS, NFC, Infrared and Micro-USB. The smartphone runs on Android 4.1 (Jelly Bean) along with a brand new Sense UI. HTC One comes with 32GB of non-expandable storage, though a 64GB variant is available in other markets. No word from HTC when, and indeed if, the 64GB variant will hit Indian shores. There has been a lot of buzz around the HTC One camera, as the company has ditched the conventional megapixel in favor of something that the company dubs as the Ultra Pixel camera. There is a 2.1-megapixel front camera and a 2,300mAh battery. what is ultraPixel in HTC ONE ? 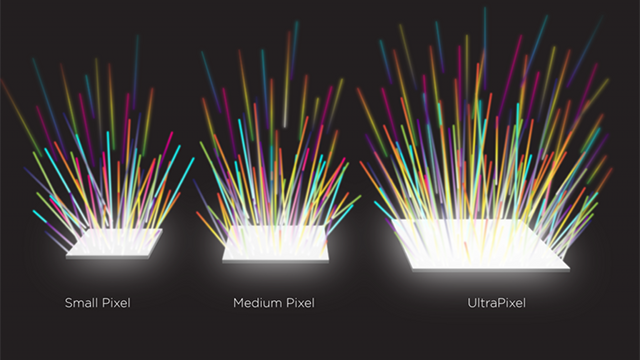 Ultrapixel is a real thing or just a marketing hype from HTC. we find out next. An implementation claimed to capture more light than high resolution 8MP and 13MP smartphone camera.Phone uses an advanced imaging technology that offers a great leap in the quality of point-and-shoot photos and video. Smartphones have rapidly become the primary camera for millions of people, and taking pictures has become an indispensable part of daily life. HTC is committed to offering the highest quality camera available, so even everyday pictures are gratifying and memorable. Let me know what you think about this step. My point is HTC is betting to high when compared with Smartphone king Samsung , they also need to reconsider their pricing policy, at least in India. As far as Ultra pixel technology is concerned we gonna have to see it, test it. I just want to say I’m very new to blogs and absolutely liked this web-site. Most likely I’m going to bookmark your blog post . You absolutely come with outstanding posts. With thanks for revealing your blog. This is truly attention-grabbing, You’re an excessively certified blogger. I’ve tied your rss nourish and sit positive representing in exploration of more of your fantastic column. Additionally, I’ve mutual your web locate in my social networks!